Another spring is here and the fresh vegetables are already coming in at the market. The Pittsburg County Farmer’s Market has made major strides in updating our look, seeking out new vendors and customers. Last month we had a farmers market work day where volunteer’s came and helped replace old boards on the awning, repainted booths, cleaned up the parking lot and storage room, and replaced old signs with new ones. The clean up day was very successful and we are thankful for all of those who showed up to help us with this effort. The Choctaw Nation Agriculture Outreach program has been a vital partner in helping the Farmer’s Market out over the past ten months. The Choctaw Nation Agriculture Outreach program had a new sign made for us to hang over our awning and purchased several flag banners that can be hung up during market days. The flag banners make our entrance and exits more visible to vehicle traffic and other signs pronounce that the Farmer’s Market is open. The flag banners have already shown to increase foot traffic and customers to the market. The Choctaw Nation has also purchased some canvas shopping bags for the Farmers Market that we can give to customers. This gives us additional advertising as well as providing customers with reusable shopping bags for the market. The new shopping bags will be available by June 2nd which is our Grand Re-Opening. The Choctaw Nation also has purchased a few more tables and pop-up tents for the market. The Pittsburg County TSET group has been another vital partner. They have helped us forge new relationships with the City of McAlester, McAlester Main Street, McAlester tourism, and several businesses in the McAlester area. 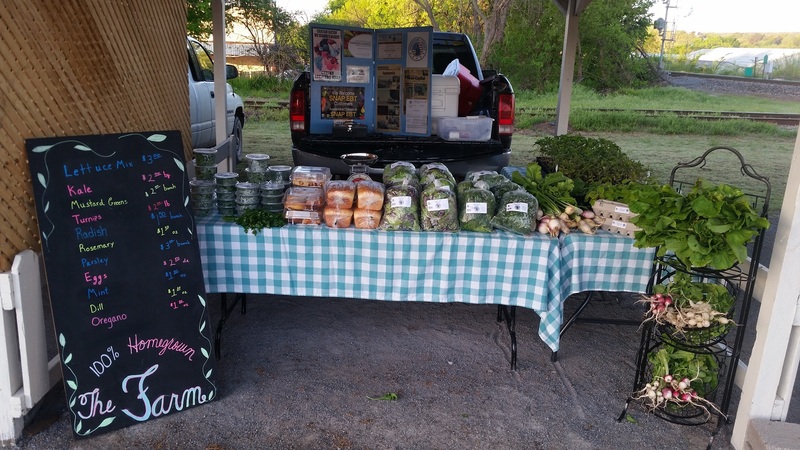 The Pittsburg County Farmer’s Market has really seen a renewed interest from the city of McAlester and the surrounding community. The Pittsburg County Farmer’s Market Grand-Reopening will be on June 2nd. We will be having a Dutch oven cook off, local farmers selling fresh produce, artisan foods, and for the first time allowing vendors who make baskets, bead jewelry, quilts and artists to sell their goods and to demonstrate how they make their goods. I’m proud that there will be two Choctaw Princesses that will be there representing the Choctaw nation. We are still working on having live music and food trucks at the event. This event has really become a community effort. Since last summer the farmers market has really made some huge strides to update our Farmer’s Market Guidelines and to rejuvenate the market so that we can bring in new vendors and to bring community awareness and involvement to our market. We are looking forward to a great summer where the Pittsburg County Farmer’s Market becomes a regular shopping destination for people. I personally want to thank all of the partners that have come to help the Farmer’s Market and all of the volunteers that have helped revamp the market. This has been a great experience.